Ever since Zombieland’s hilarious ‘Zombie Kill of the Week’, we have been obsessed with the approach filmmakers take when deciding how a zombie should be killed. The celebrations for the season premiere of the long awaited fifth season of The Walking Dead are still ongoing, and we have been living in the shadows of the upcoming Halloween festivities. So, to commemorate the slowly approaching Halloween and the return of the incredibly suspenseful The Walking Dead, we have listed some of our favourite zombie films and kills. A zombie film with an edge. Instead of the dawdling, half-eaten, rotting undead, we are introduced to a new zombie form – the Rage Virus zombie. These zombies are much harder to escape, as they rapidly chase their next meal. Vicious, red-eyed maniacs speeding through the streets of England and ripping their dinner apart; devouring every inch at a fast pace. Zombie Kill of the Film goes to Selena, for throwing a Molotov cocktail toward an infected group and starting an inferno of burning bodies. Just when you think the protagonist is going to be zombie dinner, two strangers use riot weaponry to set fire to a conglomerate of evil. You can’t have a list of zombie films without including the king of the zombie genre. George A. Romero is a talented zombie hero that essentially created a template for future zombie filmmakers. Night of the Living Dead was made in 1968 and follows the story of seven people trapped inside a farmhouse surrounded by zombies. The brilliance of this film is that Romero doesn’t use an overwhelming amount of blood and gore to create fear but instead relies on tension and suspense. Zombie Kill of the Film goes to Ben for singlehandedly fighting off a number of zombies with a crowbar. Ben is outside the house, killing a zombie while another zombie slowly approaches him. Just as you think the looming zombie is going to catch him, Ben turns around and attacks it. The remake for George A. Romero’s Dawn of the Dead is slightly different to the original, but has a lot more red sauce. A group of people take solace in a shopping mall that is encircled by the undead. As the zombies begin to break in, the group find themselves looking for alternative shelters. Along the way, people get eaten alive and the first ever zombie baby is born. Zombie Kill of the Film goes to Andy for killing the Burt Reynolds and Jay Leno zombie doppelgängers. To pass the time, the group enjoys a game of zombie target shooting from the balcony of the mall. They notice Burt Reynolds and Jay Leno’s doppelgängers and shoot them on the spot. Shaun of the Dead is a comical adaptation of Dawn of the Dead, featuring two drunk and directionless friends that find themselves amidst an apocalypse. 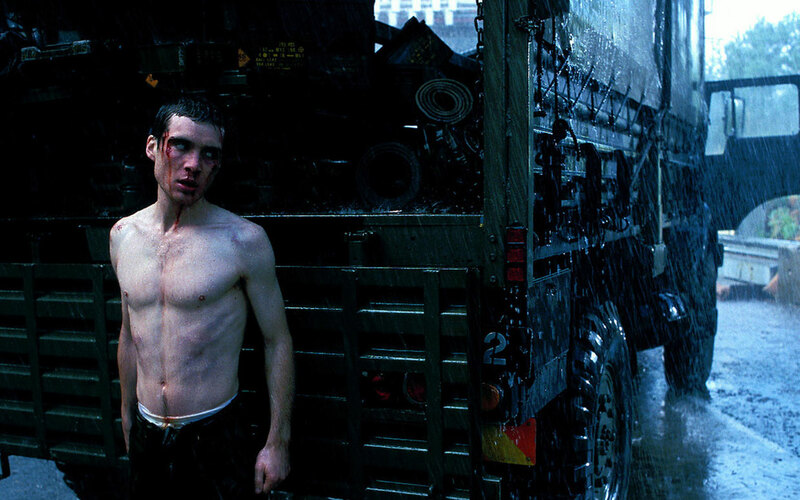 Full of amusement and gore, this film epitomises modern zombie films. Shaun and his best friend Ed wake up to a zombie apocalypse. Oblivious to their circumstance, they go about their daily routines before eventually noticing a woman in Shaun’s backyard. They go to investigate but soon realise, after several failed attempts to get rid of her, that she is a zombie. The film progresses, as Shaun tries to save his family and friends and take them to a pub for a safe haven. Zombie Kill of the Week goes to Shaun and Ed for killing the two strangers in Shaun’s backyard using his record collection as weapons.